Helen M. Wright of Eureka, Missouri, formerly of Leasburg and Cuba, was born Saturday, October 31, 1936 to Carl Edgar and Mary E. (Nee: Farrar) Graddy and left from this life on Thursday, March 29, 2018 at Mary Mount Manor, Eureka, Missouri at the age of 81 years. When Helen was four years old she was adopted by James and Ruth Newman. Helen spent her life taking care of her home and children. She enjoyed quilting, sewing and reading. She was a true Civil War historian. She had spent many hours researching family ancestry. Helen went to every cemetery in Crawford County, wrote down the names of every person buried in them and in 1993 published the book “Cemeteries of Crawford County Missouri”. She dedicated the book to her family and ancestors of Crawford County. Helen loved Ireland, she traveled there several times and even lived there for a short time. 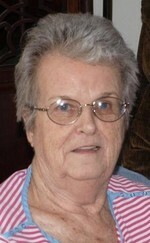 Helen was a loving daughter, sister, wife, mother, grandmother, great grandmother, aunt, great aunt and friend of many. She will be truly missed by all who knew and loved her. She is preceded in death by her parents James and Ruth Newman, husband Harmon Wright, one son John Kimmel, one brother Edgar Graddy and other family and friends. 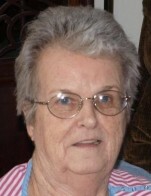 Those who are left to treasure her memory and to continue her legacy are her children; James and wife Patti Kimmel of Pacific, Missouri, David Kimmel of Pacific, Missouri, Debbie and husband Clayton Stephan of Herman, Missouri and Diane Martin of Lakeland, Florida, ten grandchildren, several great grandchildren, one sister Irene Dixon of Big Cabin, Oklahoma, nieces, nephews, great nieces, great nephews and a host of other relatives and friends. Memorial visitation will be Thursday, April 5, 2018 from 10:00 a.m. till 11:00 a.m. at the Mizell Funeral Home, 904 W Washington Street, Cuba. Memorial service will be 11:00 a.m. Thursday, April 5, 2018 at the Mizell Funeral Home of Cuba. Special recorded music will “How Great Thou Art”, “In The Garden” and “You Raise Me Up” all by Daniel O’Donnell. Inurnment will follow at the Lea Cemetery, Leasburg, Missouri. In lieu of flowers, donations may be made to the First Presbyterian Church of Cuba in Helen’s memory. The Mizell Funeral Home of Cuba is honored to be serving Helen’s family.